If you are a Washington employee struggling with an issue involving wrongful termination, you need principled, experienced legal representation to fight for the justice you deserve. Regardless of the particulars of your case, it’s crucial that you hire a reputable employment lawyer to assist you with what it is invariably a difficult situation. 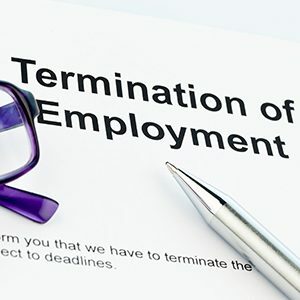 How do I Know if I’ve Been Wrongfully Terminated? Wrongful termination comes in many flavors. You may be eligible for compensation if your employer violated the terms of an employment contract, retaliated against you for filing a workers’ compensation claim, treated you poorly due to a wage and/or hour dispute, violated your rights as a whistleblower, and/or discriminated against you due to age, gender, sexual identity, sexual orientation or disability. What if I’m an “At-Will” Employee? “At-will employment” means that either party to an employment contract may terminate the relationship at any time, regardless of the rationale. While this may seem as if it protects Washington employers from being held legally liable for employees alleging wrongful termination, an experienced employment lawyer can help you secure the outcome you deserve. Stanley A. Kempner Jr. Attorney at Law assists Spokane employees with wrongful termination cases. Protect your future by calling (509) 484-1104 today.